The retired generals include Lieutenant-Generals Anselem Sanyatwe, Douglas Nyikayaramba, Martin Chedondo, Major-General Thando Madzvamuse and Air Marshal Shebba Shumbayawonda. Also on the list is journalist and former MDC MP for Mabvuku-Tafara James Maridadi and University of Zimbabwe lecturer Professor Charity Manyeruke. Other ambassadors-designate are officials in the Ministry of Foreign Affairs and International Trade while some are former permanent secretaries. These are Mrs Alice Mashingaidze, Mrs Abigail Shonhiwa, Ms Sophia Nyamudeza, Dr Emmanuel Gumbo, Messrs Chrispen Mavodza, Gumisai Gideon Gapare, Vusumuzi Ntonga and Dr Godfrey Chipare. The group is undergoing a one-month training course in diplomatic etiquette which began on April 1 and is being done by the Ministry of Foreign Affairs and International Trade. 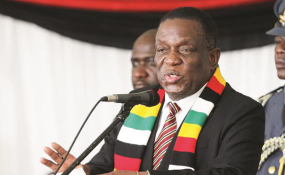 Foreign Affairs and International Trade Secretary Ambassador James Manzou said the announcement of the postings of the ambassadors-designate was the prerogative of President Mnangagwa. "The Ministry of Foreign Affairs and International Trade was instructed by His Excellency to run a diplomatic course from April 1 to May 9," he said. "It is a training for those that are going to be posted abroad and that also includes quite a number of officials from the Ministry who are also being trained for positing at various levels." Earlier this week, Foreign Affairs and International Trade Minister Sibusiso Moyo addressed the ambassadors-designate during their training and urged them to prioritise economic diplomacy.